Eyvind B. Ager, 97, of 809 Grant St., Chippewa Falls, died suddenly, Tuesday afternoon, August 11, 1998, at St. Joseph's Hospital in Chippewa Falls. 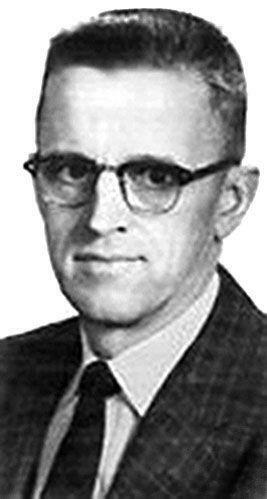 He was born December 19, 1900, in Eau Claire to Gurolle (Blestren) and Waldemar T. Ager. He grew up in Eau Claire where he attended school. As a young boy, he worked for his father at the "Reform", a Norwegian newspaper in Eau Claire. Eyvind married Inga L. Pederson on August 18, 1927, in Minneapolis, Minnesota. He was an organizer for Sons of Norway and sold insurance for them and for the Scandinavian American Fraternity. Following his father's death in 1941, he operated a print shop on Water Street in Eau Claire until 1948, when he joined the W. H. Bady company to Chippewa Falls, and in 1955, relocated with the company to Milwaukee. He retired in December 1965. He and his wife moved back to Chippewa Falls in 1970. He was a charter member of Christ Lutheran Church in Chippewa Falls. He has been a member of the fraternal and cultural society Sons of Norway with membership dating back to 1920 in the Eau Claire Lodge. He was also a member of the Norwegian American Historical Association and the Chippewa County Historical Society. Survivors include his wife, Inga of Chippewa Falls; Borgny Ager of Chippewa Falls; two sons, Waldemar (Charlotte) Ager of Chetek and Frederik (Mariann) Ager of Arlington, Texas; a daughter-in-law, Beatrice Meyer of Chippewa Falls; two sisters, Gudrun Bergh of Eau Claire and Solveig (Dr. John) Best of Chetek; a brother, Roald S. Ager of Cumberland; 11 grandchildren; eight great-grandchildren; and nieces and Nephews. He was preceded in death by his parents; a son, Roald A. Ager in 1969; three sisters, Valborg Oyen, Borghild Derge and Hildur Nicolai; and two brothers, Trygve Ager and Magne Ager. A funeral service will be held at 10:30 a.m. Saturday, Aug. 15, at Christ Lutheran Church in Chippewa Falls, with the Rev. Donald C. Thorson officiating. Burial will follow at Lake View Cemetery in Eau Claire. Friends may call from 4:30 to 7 p.m. Friday at Pederson-Volker Funeral Chapel in Chippewa Falls and an hour before services Saturday at the church. Memorials are preferred to Christ Lutheran Church or to the Waldemar Ager Association. Mrs. Gurolle Blestren Ager 78 , of 429 Chestnut St., died Christmas morning at Luther hospital after an illness of several weeks. She was the widow of Waldemar T. Ager, Norwegian-American editor and lecturer, who died 10 years ago. Funeral services have been set for Friday at 2 p.m. at the first Lutheran church with the Rev. A. S. Tanner officiating. Lenmark and Sons is in charge of arrangements. Born Feb. 21 1873, at Tromso, Norway, she came to America with her family when she was 10 years old, and was a resident of Eau Claire ever since. She and Mr. Ager were married here July 5, 1899. Surviving are their nine children, four sons and five daughters, all of whom were here during the final days of their mother's illness. The sons are Eyvind B., of Chippewa Falls; Trygve M., of Eau Claire; Magne O., of Las Alamos, N. M.; and Roald S. of Madison, Wis. The daughters are Mrs. Milo Bergh, Eau Claire; Mrs. Arndt Olen, Poulsbo, Wash.; Mrs. John W. Best, of Indianapolis, Ind. ; Mrs. Albert Nicolai, of Black River Falls, Wis.; and Mrs. Richard H. Derge, Eau Claire. Also surviving is a sister, Mrs. Alfred Gabrielsen, of San Mateo, Calif.
Inga Louise Pederson Ager, 100, of 809 Grant St., Chippewa Falls, died Tuesday, April 10, 2007, at Luther Hospital in Eau Claire. She was born July 4, 1906, in Running Valley, Chippewa County, to Helga (Ludvigson) and Andrew Pederson. She was raised on her parents’ farm in Running Valley, and baptized and confirmed at the North Running Valley Lutheran Church. She came to Eau Claire to work and met Eyvind B. Ager at the Vikings Lodge. They formed a friendship that led to marriage. Inga and Eyvind were married in Minneapolis, Minn., on August 18, 1927. They made their home in Eau Claire until 1948, when they moved to Chippewa Falls. In 1955, they moved to Milwaukee, returning to Chippewa Falls in 1970. Inga joined the Sons of Norway in 1924, and has been an active member for 83 years. She was a charter member of Christ Lutheran Church in Chippewa Falls, where she was involved in their women’s circle and quilters. Inga was also a member of the Waldemar Ager Association. She loved cooking and baking cookies for her sons and grandchildren; and Inga’s kitchen was open 24 hours a day and serving since 1927. Survivors include two sons, Waldemar (Charlotte) Ager of Chetek, Frederik (Mariann) Ager of Arlington, Texas; one daughter, Borgny Ager of Chippewa Falls; 11 grandchildren, Roger (Gloria) Ager, Nancy Ager, Susan (Thomas) Avery and Lizbeth (Michael Persson) Ager; Lauren Ager, Linda (Brett Hart) Ager, Kristine (John) Bejin, Frederik and Daniel Ager, Kristina (Mark) Mabey, Andrea (Piqush Khare) Deger-Khare; 17 great-grandchildren; three great-great-granddaughters; three sisters, Clara Tweet of Eau Claire, Agnes Cieslik of Chippewa Falls and Ella Gough of Petoskey, Mich.; two sisters-in-law, Gudrun Ager Bergh and Barbara Peterson; three brothers-in-law, Albert Rehberg, Roald S. Ager and Dr. John W. Best. Inga is also survived by Beatrice Leer Ager Meyer of Chippewa Falls; and several nieces and nephews. She was preceded in death by her husband, Eyvind Ager on Aug. 11, 1998; one son, Roald A. Ager in 1969; her parents; three brothers, Emil Pederson, Harold Peterson and Alvin Peterson; four sisters, Hilda Rooney, Aagot Johnson, Bertha Boschette and Elfreda Rehberg. A funeral service will be held at 11 a.m. on Monday, April 16, 2007, at Christ Lutheran Church in Chippewa Falls, with the Rev. Mark Homp officiating. Burial will be in Lakeview Cemetery, Eau Claire. Friends may call from 4 to 6 p.m. Sunday at Pederson-Volker Funeral Chapel in Chippewa Falls, and one hour prior to the service Monday at the church. Memorials in Inga’s memory may be directed to Christ Lutheran Church, to the Waldemar Ager Association, or to the donor’s choice. Services will be held Monday at 1:30 p.m. at the Lenmark funeral home for Magne O. Ager, 53, who died suddenly Friday at Arlington Va.
A native of Eau Claire and graduate of the University of Wisconsin, he had spent many years in this country and abroad as an auditor for various government agencies, including the atomic Energy Commission and the Department of Health, Education and Welfare. During World War II he served first in the Seabees, later as a lieutenant on a U.S. destroyer in the Pacific. He is survived by three brothers: Eyvind, of Milwaukee; Trygve, of Eau Claire; Roald, of Evenston, Ill; five sisters: Mrs. Milo Bergh, of Eau Claire; Mrs. Arnt Oyen, of Poulsbo, Wash.; Mrs. John W. Best, Indianapolis, Ind. ; Mrs. Albert Nicolai, of Black River Falls; Mrs. Richard Derge, of Colorado Springs, Colo. Several nieces and nephews also survive. The services Monday will be conducted by the Rev. Harold J. Peterson of First Lutheran church. Burial will be at Lake View cemetery. Friends may call at the funeral home this afternoon and evening and Monday until time of the service. Funeral services will be at 1:30 p.m. Saturday at First Lutheran Church here for Roald Ager, 41, of 551 E. Wisconsin St., Chippewa Falls, a linotype operator at the Eau Claire Press Co., who died unexpectedly Wednesday at his home of a heart attack. The Rev. Maynard Midthun will officiate and burial will be in Lake View Cemetery here. Friends may call at the Smith Funeral Chapel from 2 p.m. today until 11 a.m. Saturday and at the church one hour prior to services. Mr. Ager, who worked on Newspapers in Waupun, Rice Lake and Chippewa Falls, had lived in Chippewa Falls the past 11 years. Survivors include his widow, Beatrice; a son, Lauren; two daughters, Linda and Kristine, all at home; his parents, Mr. and Mrs. Eyvind Ager of Milwaukee; two brothers, Waldemar of Milwaukee and Frederick of Madison; a sister, Miss Borgny Ager of St. Paul; and his grandmother, Mrs. Helga Peterson of Colfax. Trygve Ager, 69, 1533 Badger Ave., a former Minneapolis Tribune staff reporter and author and translator of books dealing with Norwegian culture, died Monday at his home. He was born Jan. 23, 1906, at Eau Claire and was married in 1940 to Elvira Gullixson at Ithaca, N. Y. He graduated from St. Olaf College in 1929 and the same year studied journalism under a Scandinavian-American Foundation fellowship in Norway. He returned to the United States where he was copy editor for Nordisk Tidende, a Norwegian newspaper at Brooklyn, N. Y. and a small newspaper at Tenafly, N. J. until 1938. He worked in advertising as a copy editor for Addison Vars Inc. at Buffalo, N. Y., until 1941 when he joined the Norwegian Embassy in Washington, D. C. He was a co-founder of "News of Norway" at the embassy. In 1943 he co-authored a book with Bjarne Hoye, "The Fight of the Norwegian Church Against Nazism". 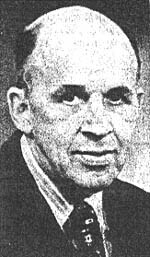 After leaving the embassy in 1945, he joined the staff of the Albert Lea (Minn.) Evening Tribune and became managing editor. He joined the staff of the Minneapolis Tribune in 1949 and served as that newspaper's Wisconsin reporter until 1967 when he became a copy editor. He retired in 1971. Since 1971 he taught Norwegian language and culture at the district vocational school here and edited a district insert for the Lutheran Standard a publication of the American Lutheran Church. During the 1930s he translated a number of Books, including O.E. Rolvag's "Their Father's God" and Johan Boyer's "The House and Sea". He was member of the library board here for many years and headed the local chapter of the International Committee Nordmanns Forbundet (League of Norsemen). He was also a board member of the Wisconsin Institute of Scandinavian Culture. Survivors include his wife; two sons, Tryg, Binghamton, N. Y., and Rolf, Spring Green; one daughter, Mrs. Timothy Fossum, Racine; four sisters, Mrs. Gudrun Bergh, Eau Claire, Mrs. Hildur Nicolai, Black River Falls, Mrs. Solvig Best, Indianapolis, Ind., Mrs. Borghild Derge, Colorado Springs, Colo.; two brothers, Eyvind, Chippewa Falls, Roald, Cumberland; and three grandchildren. Services will be at 1 p.m. Thursday at Trinity Lutheran Church with the Rev. Jack L. Olson officiating. Burial will be in Lake View Cemetery. Friends may call at Lenmark Funeral Home from 3 to 4 p.m. and 6 to 8 p.m. Wednesday. Memorials may be given to the Waldemar T. Ager Scholarship Fund at St. Olaf College in Northfield, Minn.
-Was Born in Norway 82 Years Ago. At six o'clock this morning, February 14, 1908, at his home, 1314 South Fourth Street, occurred the death of Hans P. Berg, an old and respected resident of this city. His death was due chiefly to infirmities of old age, though he has been ill only for the past nine days. Hans P. Berg, was born in Norway, February 26, 1826, making him nearly 82 years old at the time of his death. He was married in 1853. In the old country Mr. Berg was employed as foreman of a brick yard. In 1881 Mr. and Mrs. Berg with part of their family, moved to this country, coming immediately to Clinton, where they have since made their home. Mr. Berg was in the employ of the Curtis Bros., since he came to this country. About three years ago, Mrs. Berg passed away. To mourn the deceased are left two sons and three daughters, Alfred, living in Norway; Peter, of this city, Mrs. J. G. Nyquist and Mrs. J. Reinersen, of Dekalb, Ill., Miss Anna Berg and Mrs. Caroline, Living in Norway. Funeral services will be held Sunday afternoon at two o'clock at the residence, 1314 South Fourth street. Interment will take place at Springdale. Special thanks to Bonnie at the Clinton County/Genealogical Society for sending this obituary. at Knapp Haven Nursing Home in Chetek. She was born on June 4, 1909, in Eau Claire, the daughter of Waldemar and Gurolle Blestren Ager, and lived most of her married life in Indianapolis, Ind. 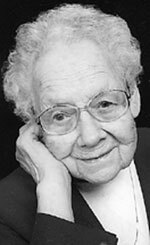 In 1975 she and her husband, John W. Best Ph.D., Professor Emeritus, Butler University, retired in Chetek. She was a graduate of the Eau Claire State Teachers' College and had been a teacher in the public schools in Chetek, Medford, and Madison. She also taught at the Orchard Country Day Private School in Indianapolis, Ind. 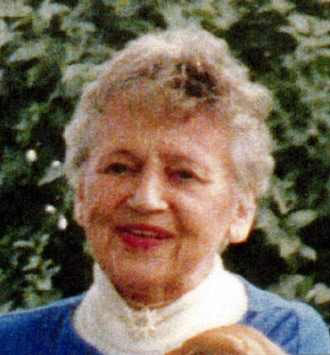 Her activities included membership in various philanthropic, civic and service organizations, including the Indianapolis Museum of Art, Civic Ballet Society, Propylaeum Club, Good Will Guild Auxiliary, Clowes Hall Symphony Women's Club, Butler University Women's Council, the Sigma Chi Mothers Club and the Wisconsin Alumni Club of Indianapolis. Survivors include her husband of 68 years, Dr. John W. Best of Barron; her son and daughter-in-law, John W. Best, Jr. and Carol Best of Reston, Va.; three grandsons Kipley, Darben and Tarken Best of Denver, Colo.; and a granddaughter, Kyndra Best of Philadelphia, Pa. She is also survived by one brother, Roald S. Ager, of Cumberland; one sister, Gudren Ager Bergh, of Eau Claire; and several nephews and nieces. She was preceded in death by her parents; three sisters, Valborg Oyen, Hildur Nicolai and Borghild Derge; and three brothers, Eyvind Ager, Trygve Ager and Magne Ager. Private services will be held at a future date to be announced. Burial will be at the Waldemar Ager plot, Lake View Cemetery, Eau Claire. Mrs. Hansine Blestren passed away at 3:50 o'clock Saturday afternoon at the home of her daughter, Mrs. W. Ager. She was born in Tromso, Norway, in 1842. She is survived by her two daughters, Mrs. A. Gabrielson of San Francisco and 12 grand children. The funeral will be held at 2:30 Tuesday afternoon from the Lenmark Funeral Parlors. Rev. J. M. Wick officiating. Interment at Lakeview cemetery. The funeral of the late Mr. S. J. Blestren will take place this afternoon at 2 o'clock from the residence, 327 Chestnut street. Mrs. Alfred Gabrielsen, the former Johndine Blestren, died Thursday morning in Los Gatos, Calif. Private memorial services were held there Friday afternoon. Mrs. Gabrielson was born in Norway and was raised in Eau Claire. She has lived in California for many years. She is survived by three sons, Helmik of San Mateo, Calif., Alf, of Los Gatos, Calif., and Birger of Eau Claire; three grandchildren, and two great-grandchildren. COLORADO SPRINGS, Colo. - Services were today for Borghild G. Derge, 63, formerly of Eau Claire, who died Monday at a Colorado Springs hospital. She was born in Eau Claire and graduated from what was then Eau Claire State Teachers' Collage. She married Richard H. Derge July 20, 1943, in San Bernardino, Calif. They lived in Colorado Springs since 1950, where she was a teacher for many years. Survivors include her husband; a son, Frank, Colorado Springs; two brothers Eyvind Ager, Chippewa Falls, Roald Ager, Cumberland; three sisters, Gudrun Bergh, Eau Claire, Solvig Best, Chetek, Hildur Nicolai, Black River Falls; nieces and nephews. The family suggests memorials to the American Cancer Society. Hildur J. Nicolai, 76, of Hatfield, died Monday, Dec. 28, 1992 in Black River Memorial Hospital. She was born on Dec. 10, 1916 in Eau Claire to Waldemar and Gurolle (Blestren) Ager. She was raised in Eau Claire and was graduated from Eau Claire High School. She later married Albert Nicolai. The couple lived in Bloomer and Black River Falls, before settling near Hatfield. Mr. Nicolai died in 1973. In the early 1960's Mrs. Nicolai owned and operated the Nicolai Family Gift Shop in downtown Black River Falls. She later authored a book entitled "White Cross in the Woods." She was a member of St. Joseph's Catholic Church and the Black River Falls Sportsmen Club/Shaftbusters Limited. Survivors include one daughter, Marilyn (Roger) Reinart of Black River Falls; two sons, Richard (Sherene) Nicolai of Oconomowoc, and Fred (Barbara) Nicolai of Glendale Heights, Ill.; eight grandchildren; two sisters, Gudrene Bergh of Eau Claire and Solvieg (Jack) Best of Chetek; and two brothers, Eyvind (Inga) Ager of Chippewa Falls and Roald Ager of Cumberland. In addition to her husband, she was preceded in death by two brothers, Trygve and Magne, and two sisters, Valborg and Borghild. Funeral services for Hildur J. Nicolai will be Wednesday, Dec. 30 at 2 p.m. from St. Joseph's Catholic Church, Black River Falls. The Rev. Roy Mish will officiate and burial will be in the Hatfield Cemetery. Friends may call at the Buswell Funeral Home on Wednesday from noon until 1:45 p.m. memorials may be given to the Black River Falls Public Library. Casketbearers will be Jeff Nicolai, Jeanine Nicolai, Adam Nicolai, Ron Reinart and Amy Schneider. Mrs. Valborg Oyen, 60, formerly of Eau Claire, died at her home in Poulsbo, Wash. Sunday. She was the former Valborg Ager and was a librarian in the public library here until her marriage. Funeral services will be held in Poulsbo Wednesday. Mrs. Oyen is survived by her husband Arnt; a daughter, Mrs. Hildur Gleason of Iowa City, Iowa; a son Waldemar, Poulsbo; three brothers, Trygve Ager, Eau Claire, Eyvind of Milwaukee, and Roald, Evanston, Ill.; four sisters, Mrs. R.H. Derge, Colorado Springs, Colo. Mrs. Albert Nicolai, Black River Falls, Mrs. John Best, Indianapolis, Ind., and Mrs. Milo Bergh, Eau Claire. Roald Sneve Ager, 98, Barron, WI, passed away on Thursday, August 16, 2012 at Monroe Manor (in Barron) where he had resided for the past five years. He had previously lived in Cumberland, WI. He was born October 4, 1913 in the Ager family home in Eau Claire to Waldemar Theodor and Gurolle (Blestren) Ager as the seventh of nine children. Roald graduated from Eau Claire Senior High School and Eau Claire State Teachers College (now the University of WI in Eau Claire). He also attended the University of WI in Madison and received a Masters Degree from Northwestern University in Evanston, IL. For a number of years after college, Roald had worked at US Rubber in Eau Claire and since 1953 had taught a variety of Junior High School classes in Cicero, IL and Park Ridge, IL. He retired from teaching in 1974 and moved to his home near Cumberland, WI. Roald never married. He loved nature and the out-of-doors, chopping wood, animals, baseball, reading and crossword puzzles. Roald was a longtime member (over 50 years) of the Masonic order (Eau Claire Lodge #112, F.a.A.M.) and was a lifetime member of the NEA and of the Ager Association in Eau Claire. He was preceded in death by his parents; and all of his siblings and their spouses, Eyvind (Inga) Ager, Gudrun (Milo) Bergh, Trygve (Elvira) Ager, Valborg (Arnt) Oyen, Solveig (John) Best, Magne Ager, Hildur (Albert) Nicolai, and Borghild (Richard) Derge. A nephew, Roald Andreas Ager, is also deceased. Roald is survived by nieces and nephews, Waldemar Theodor (Charlotte) Ager, Borgny Ager, Frederik (Mariann) Ager, Karren Bloom, Barbara (Fritz) Culver, Tryg (Judy) Ager, Ella Fossum, Rolfe Ager, Hildur (Steve) Gleason, Waldemar Ager Oyen, John (Carol) Best, Marilyn (Roger) Reinart, Richard (Sherene) Nicolai, Frederick (Barbara) Nicolai, and Frank Derge. He is further survived by many great-nieces and great-nephews. A memorial service will be held at 11:00 a.m. on Saturday, September 8, 2012 in the chapel at First Lutheran Church, in Eau Claire WI, with Pastor Michael Rehak officiating. Burial will be at Lakeview Cemetery in Eau Claire. Rausch and Steel Funeral Home of Barron, WI is serving the family. Gudrun Fredrikke Ager Bergh, 104, a lifetime resident of Eau Claire passed away on Thursday, February 14, 2008, at the Syverson Home. She was born January 5, 1904, in the family home on Chestnut Street to Waldemar Theodor and Gurolle (Blestren) Ager as the second of nine children in the family. Gudrun married Milo Bergh on August 14, 1929, at Trinity Lutheran Church in Red Wing, MN. She began her schooling at the Norwegian School (located on Fifth Avenue and Hudson Street) for her first year of classes before attending the Eau Claire public schools. After high school she attended Hunt’s Business College in Eau Claire and then worked for several years in the offices of Samuelson’s Dry Goods Store and the Midelfort Clinic prior to her marriage. Gudrun lived independently in her own home past age 100 at which time she fell and broke her hip. She has since then been a resident of the Syverson Lutheran Home in Eau Claire. She celebrated her 100th birthday at a party given by her daughters at the Ager House where she had been born 100 years earlier. Her hobbies included crafts, crewel embroidery, Norwegian needlework, reading, organizing photo albums, and her Norwegian heritage. She thoroughly enjoyed a trip to Norway in 1983 with her daughter. She was a lifetime member of First Lutheran Church and, in younger days, was active in youth groups, choir, Ladies Aid, and church circles. She also had been a member of Luther Hospital Guild, Eau Claire Women’s Club, Order of Eastern Star, Sons of Norway, Nordmanns Forbundet, the Ager Association, and the Eau Claire Camera Club. Gudrun is the last surviving member of her Sewing Club which had about a dozen members and was organized when she was a teenager. The group retained close friendships throughout their lifetimes until 2000 when the last other surviving member died. Gudrun is survived by her two daughters, Karren Bloom of Burnsville, MN, Barbara (Fritz) Culver of Madisonville, LA; five grandchildren, Ray (LeAnn) Bloom of Eagan, MN, Beth (Doug) Bitney of Chanhassen, MN, Jeff (Stacey) Culver of Mandeville, LA, Vicki (Jim) Anderson of Rockport, TX, and Pam Culver of LaCrosse, WI; five great-grandchildren, Mariah, Kara, and Hailey Bloom, Jack Bitney, and Erin Culver; and four step-grandchildren, Teryl (David) Shields, Ashley (Nils) Hammerich, James Anderson, and Jason Anderson. Gudrun is further survived by her brother, Roald S. Ager of Barron, WI; brother-in-law, John W. Best of Barron, WI; two sisters-in-law of her husband, Catherine Bergh and Aza Bergh both of Eau Claire; and many nieces and nephews. She was preceded in death by her parents; her husband, Milo in 1974; her son-in-law, John R. Bloom; seven siblings and spouses, Eyvind (Inga) Ager, Trygve (Elvira) Ager, Valborg (Arnt) Oyen, Solveig Best, Magne Ager, Hildur (Albert) Nicolai, and Borghild (Richard) Derge. Funeral services will be held at 11 a.m. Monday, February 18, 2008, at First Lutheran Church with Pastor John Yungerberg officiating. Burial will be in Lakeview Cemetery, Eau Claire. Family and friends may call one hour prior to the time of service, Monday, at the church. Memorials are preferred to First Lutheran Church, Waldemar Ager Association, or to the donors choice.